Drinking Water Fountains are suppliers of all the major brands of fountains across the world. We established our base in South Africa in January 2012. 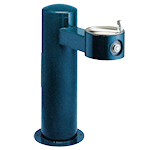 Our product range responds to the growing demand for drinking fountains in a wide range of work and recreational environments. Our objective is to provide customers with advice on suitable solutions and detailed information on the wide variety of fountain options available. What Drinking Fountains Do We Stock? We stock a range of drinking water dispensers and are sure to have the ideal hydration solution for your home or business. We stock only the best brands and have a diverse range of both indoor and outdoor drinking water fountains. 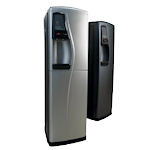 As South Africa’s leading supplier of drinking water fountains, water coolers and water boilers, we aim to provide you with top quality products and services. Browse our range and find your ideal hydration solution. Give us a call on 021 813 6631 or you can drop us an email on sales@drinkingwaters.co.za if you need more any more information.